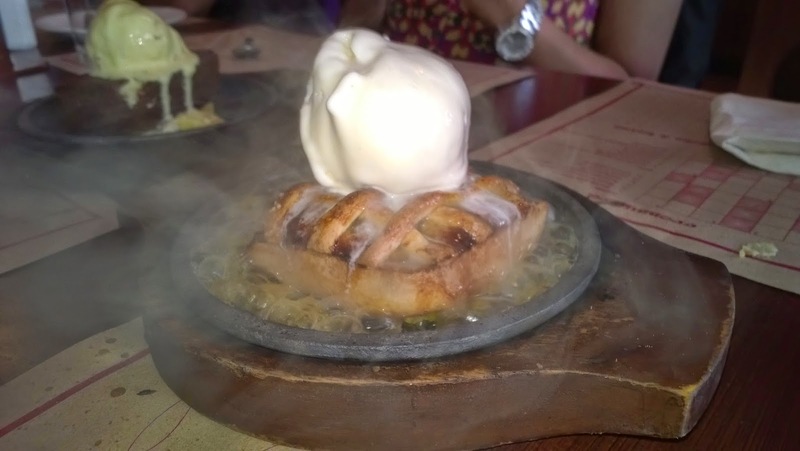 Yana Sizzlers, it is a famous name in Pune for around 12-13 years. They have an outlet in Bangalore too. It is operating from 5-6 years. I wonder how did I ever miss this place? The Bangalore outlet is in the busy street of Koramangala 60 feet road, next to Shree Krishna cafe (Now that is how I was explained the location). 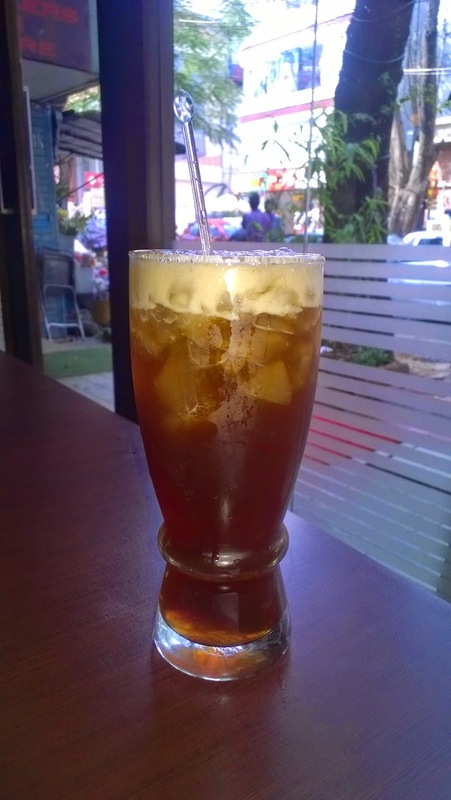 It is near Anand sweets. 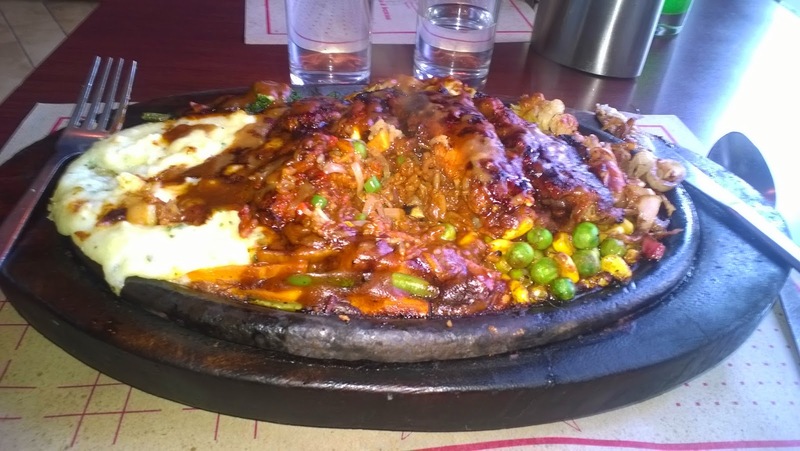 I do like sizzlers but finding it very difficult to find a good place for my regular visits. 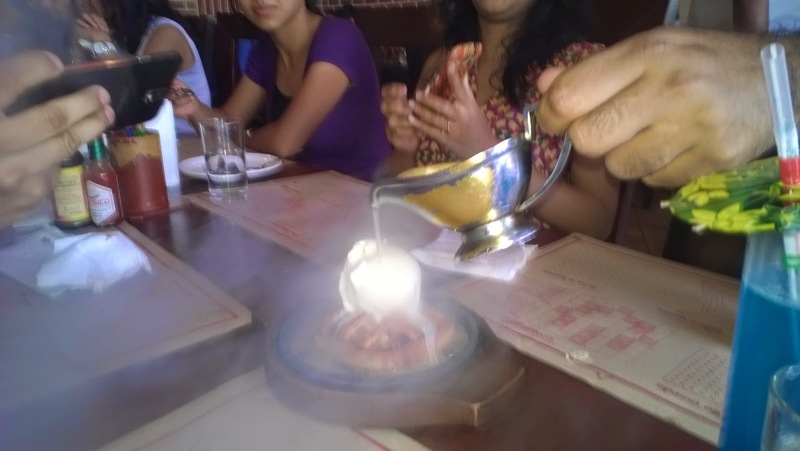 As Indijoe closed down on Church street, with Yana Sizzlers I could heave a sigh of relief. 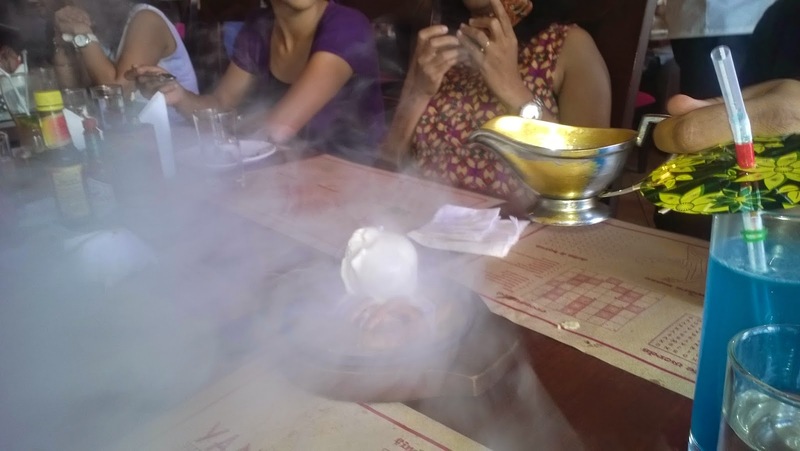 On a Sunny Sunday, I was invited by Vivek to come and try out their sizzlers and more at Yana Sizzlers. I was very late for lunch so i preferred to have just one sizzler, Spicy Fish Fillet. It was served with veggies, rice and mashed potatoes. After a long time, I had some good mashed potatoes. 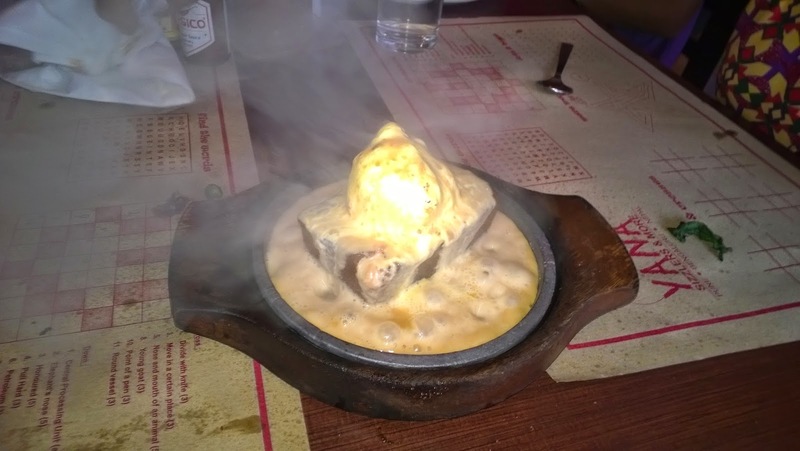 The fish was sizzling hot and tasted extremely spicy. Now that is something which could spice up my Sunday. Upon request, I got to know that one can cancel the veggies and rice for extra portion of meat. My next visit will surely have more meat. 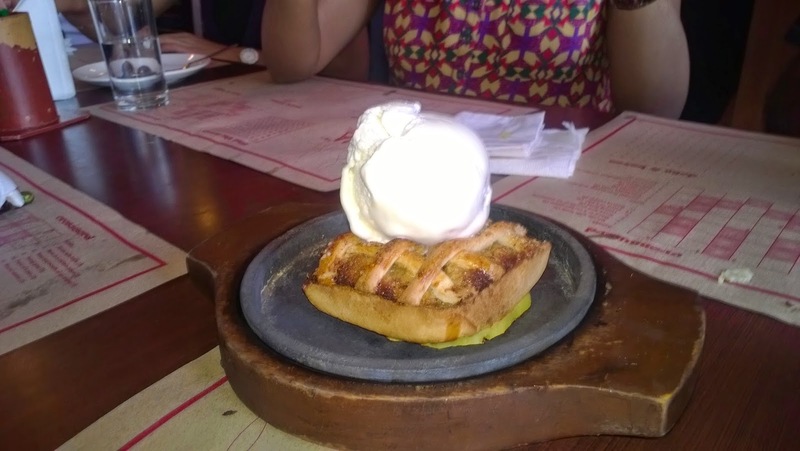 As I accompanied my sizzler with a peach iced tea. 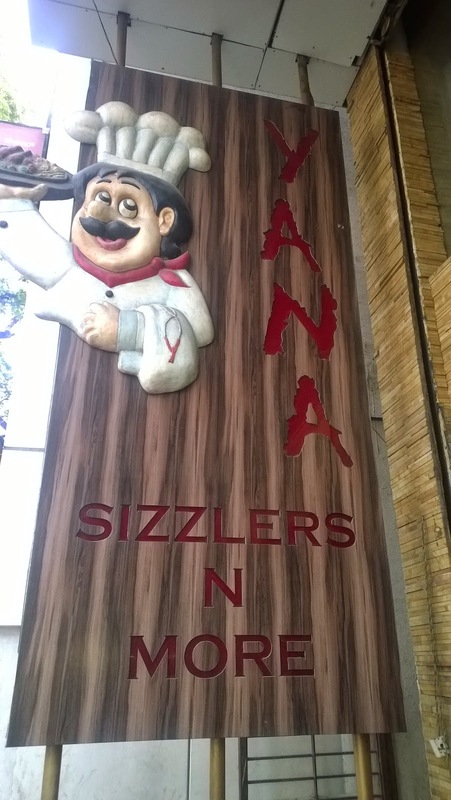 Yana Sizzlers offers more than 125 sizzler options with 26 options in veg category, seriously too many options to choose from. 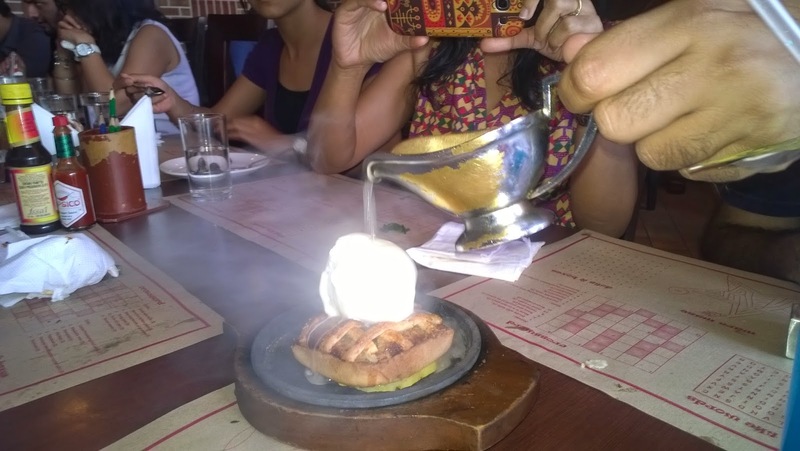 The sizzlers here are healthier as the veggies are either boiled or blanched and the usage of oil is also minimal. 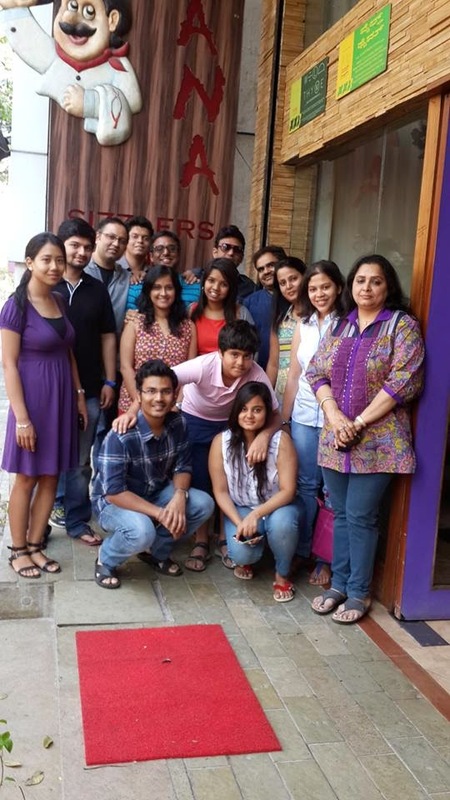 The taste at Yana Sizzlers has remained the same throughout all outlets and also over the years. 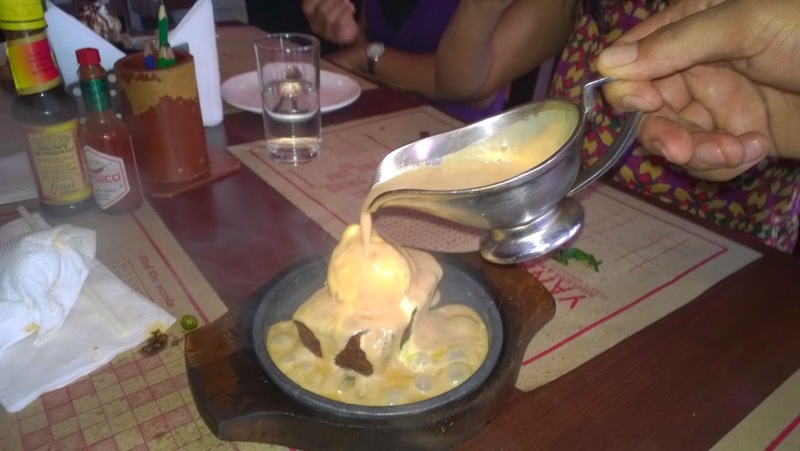 Apart from Sizzlers they also serve soups, salads, starters, pasta and more which makes it an ideal place for everyone to enjoy their meal. 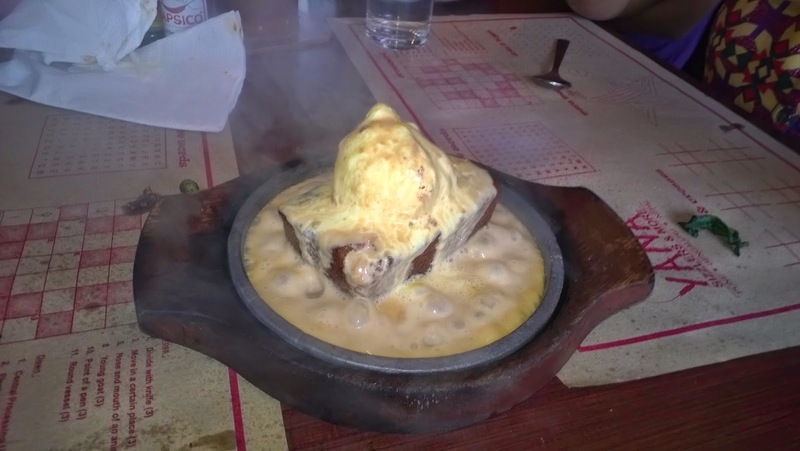 For desserts, sizzling brownie with vanilla and hot chocolate is the usual option for many at any sizzler place. 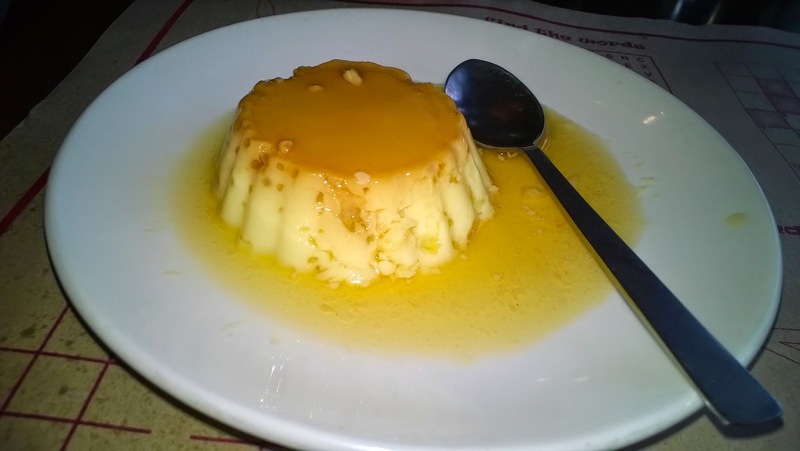 It tasted well, I cannot write much as I had very little. 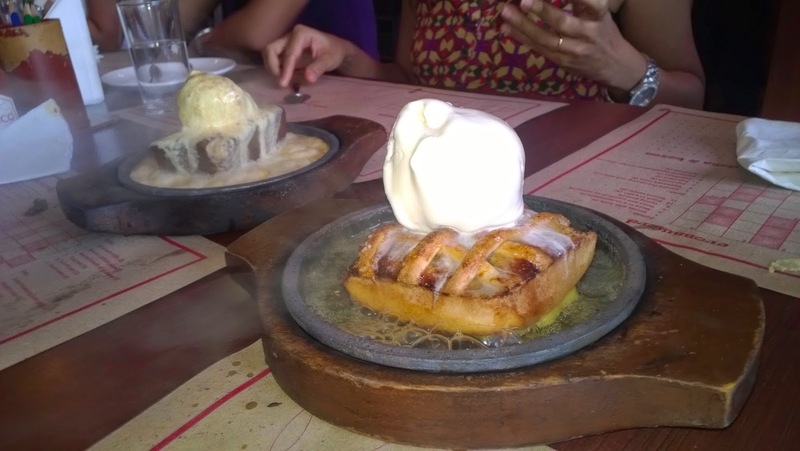 Their signature desserts - the sizzling banana walnut cake with butterscotch and the sizzling apple pie with ice cream and apple sauce are a must try here, had a taste of both and they were extremely delish. They taste differently and definitely better than any other place. 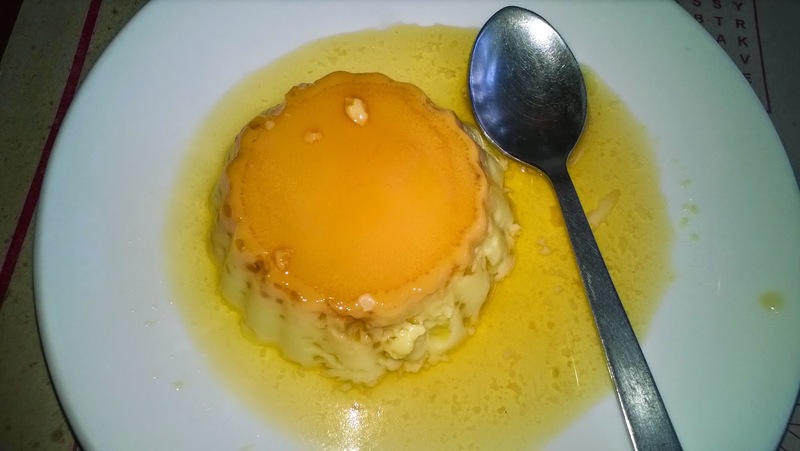 I also tried caramel custard which was good but little on the sweeter side for my taste. I will try all of them in good portion in my next visit. 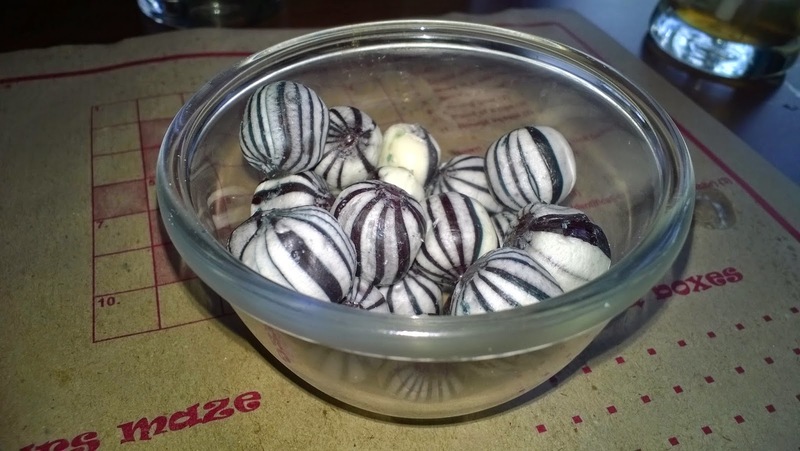 Some mint candies post your meal?